The Padmaavat star retweeted her post and that’s not all director Zoya Akhtar even shared the picture from the sets of the film. 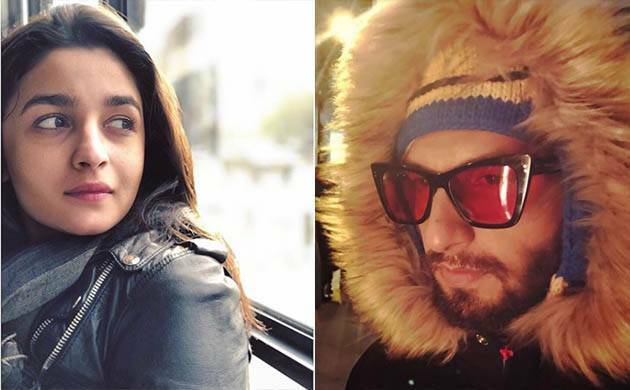 Ranveer Singh and Ali a Bhatt has begun shooting for their highly anticipated musical drama flick ‘Gully Boy’ which is based on the lives of Mumbai street rappers Divine and Naved. The Highway star took her Twitter handle to share the news and wrote, "And finally its Day 1 of #GullyBoy !!! Such a special film for me for various reasons!!!! Wish me luckkkk!!!! Your support and love means the world to me. Wohooo let's do this! @RanveerOfficial #zoyaakhtar’’. Zoya took her Instagram account and captioned it, "Day 1 #herewego #gullyboy #slateit #makingmovies #anotherdayinparadise’’. Brother of the director Farhan Akhtar, who is also the producer of the venture wished her sister and tweeted, "And it begins.. Day 1 of #GullyBoy. All the best Zoya @aliaa08 @RanveerOfficial & team’’. Speaking about Ranveer Singh, Naved in an interview said, “I like the guy. We worked together for a song in Hey Bro (2015). He is a versatile actor and I have no doubts that he can effortlessly play an emperor in Padmavati and a rapper in this film’’.